Getting the silver in 2018 has been a great pleasure. 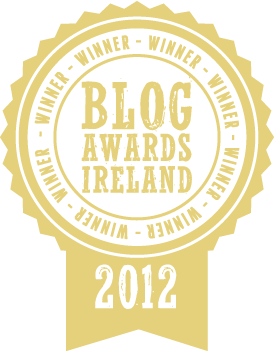 Delighted to be awarded the Best Food and Drink Blog in Ireland for the third time. Really pleased with this one. Thanks to Littlewoods Ireland Blog Awards. In 2015 I was lucky enough to have one of my posts selected by WordPress for ‘WordPress Freshly Pressed’. This was picked for special mention and promotion from over 64 million blogs published during the month when I posted it. In fairness, they picked another couple of dozen too. 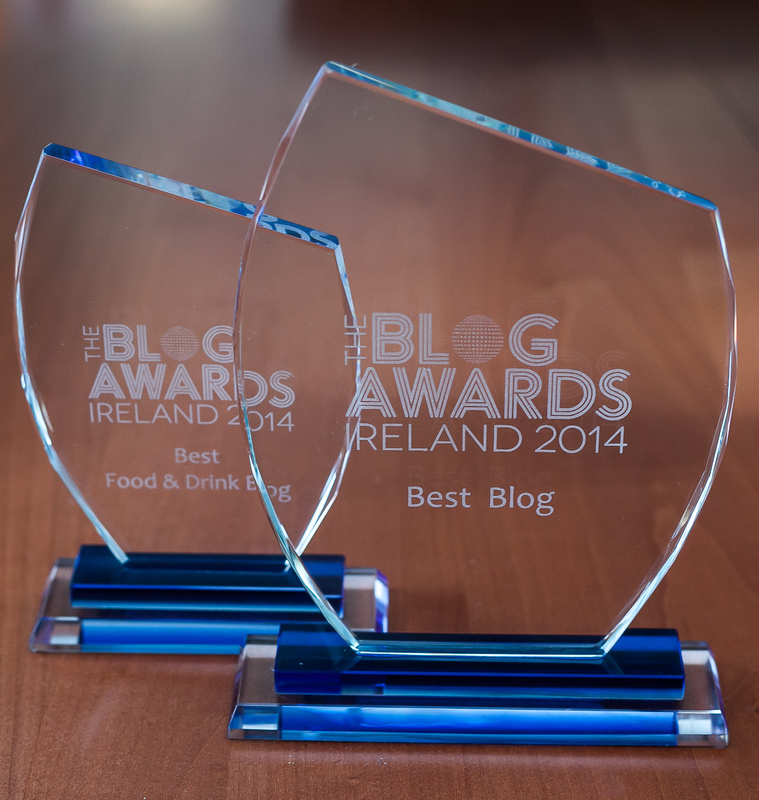 I was very happy to win the Best Overall Blog Award in the 2014 Blog Awards Ireland. Very happy and absolutely surprised. I’ll take it all the same. Delighted to win again in 2014. There are so many excellent food blogs out there. I am thrilled. Shocked and awe-struck, if I can borrow from George W to talk about winning this. I made it to the awards in 2013 and met some fantastic people, old friends and new. The Blog Awards Ireland team put on a great fun event with the biggest goodie bag I have ever seen. Best Food / Drink Blog 2013. Two trips to the stage on the night was nearly too much for me. The fine people at Glenisk ran a competition for the best recipe using one of their products. My very commercial post did the business. So I celebrated the award with another to curry favour. 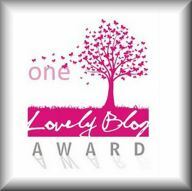 I was a bit surprised to make it to the shortlist in the Irish Blog Awards 2012. 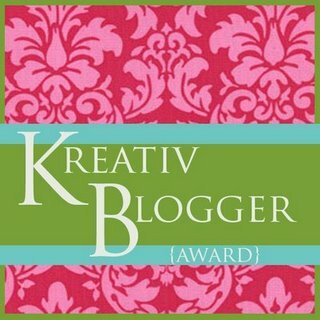 I was amazed to become a finalist in the Best Blog by a Newcomer category and I was stunned when I won it. Sadly, I was not there on the night of the awards and missed a great session by all accounts. Still, there’s always next year, if I can fool the judges again. If I were more versatile, I would feel more worthy about having been awarded this. Thank you to Happiness Stan Lives Here who first nominated me some time ago. At the time, I did not know what it meant and just ignored it. Apologies for that faux pas. Give it up too for foodashion.com who also saw fit to mention my versatility through a nomination. Thank you too to Steph at Cultural Quirks. I don’t deserve it. I like it, but I don’t deserve it. And, as if that were not enough, The Wanderlust Gene has done likewise. I am not that versatile, I assure ye all. I have to admit to not feeling very inspiring or inspired most of the time. 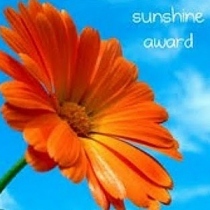 Thank you to Tasha at foodashion.com for also nominated me for this wonderfully artworked award. As did Anna Shortcakes. Far too generous in their praise for my ramblings. If I can bring a little sunshine into your day, then it’s a good day for me too. Thank you to Four Blue Hills for nominating me for this. If I can bring a little Liebster into your day, then it adds to the Sunshine. This one was thrown to me by my daughter from her then Decidedly Delicious blog. I am unsure of her real motivations. That’s Creative with a K. Very creative in itself, for sure. Another nomination from my nemesis, sorry, loving eldest daughter. I’ll take the plaudits from anywhere. That’s Creative without the ‘e’ at the end too. This is the one that everybody really wants. It is not passed out like rice at a wedding. It is really, really exclusive. I launched it in early June 2012. See the post here. If you are lucky enough to be brought within the tiny exclusive band of magnificence that is the Two Chance Award Winners Circle, welcome. If you are not, you know how many chances you have. 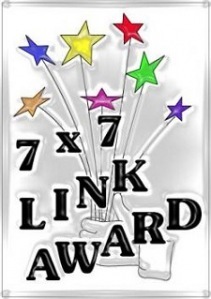 A big thank you to Mama Miyuki Easy Pantsy for nominating me for this one. Giaigi over at Giangi’s Kitchen nominated me for this award. I am honoured, given the state of my Italian cooking. 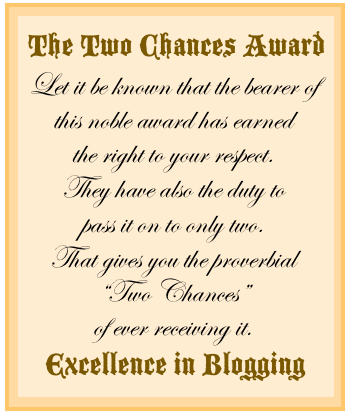 My late lamented blogging Friend Barb Beecham over in the Sierra Foothills nominated me for this one. I don’t think that Super Sweet describes me very well but I am touched by the award. 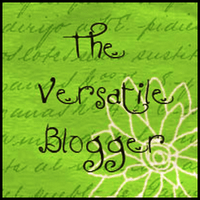 I miss Barb’s lovely enthusiasm and commentary here on the blog. She is missed. Corinna over at Cooking with Corinna was kind enough to nominate me for this one. Humbled I am to accept this. I like the newer design of the award too. 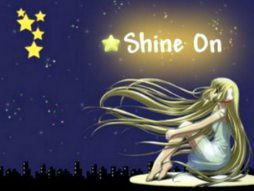 Pami over at A Crust Eaten was kind enough to nominate me for the Shine On Award. That’s reason enough for my face to shine today. Congratulations on all of your awards. You are the Meat Man!! Thank God I found you ! 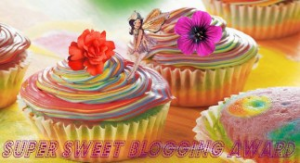 Who else but your blog can offer me such inspiration, such humor, such fun? – God bless. Thanks for such kind comments and a blessing to boot. I appreciate that. Thanks Pamela. And thanks for visiting. I’d better update this! Thanks Kate. Very kind of you indeed. I don’t feel very inspiring today. Perhaps it’s the looming Christmas that is making me nervous. All deserved. I could hang out here for ages.